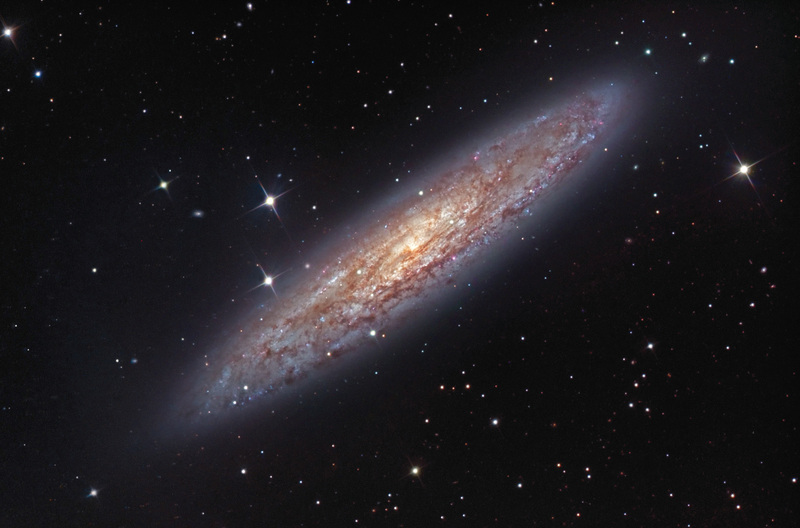 NGC253, the Sculptor Galaxy, is a large (~24 arcmin long), bright (mag 7) galaxy in Sculptor about 10 million light years distant. It is a difficult target in the northern hemisphere appearing low in the southern sky. It is the largest member of the Sculptor Group of Galaxies, which is the nearest group to our Local Group. It is an active starburst galaxy with considerable dust and new star formation. Some of the dust projections can be seen in the above image. North is to the right.